Evidence of the Juipera (sometimes spelt Yuibera) mob’s living arrangements lay scattered across Cape Hillsborough like toys tossed from a sandpit by a recalcitrant toddler. Shell middens here, rock fish traps there, axe heads chiselled from stone aplenty, the implements of Indigenous peoples who roamed this land. Fire pits that were once used to roast wallabies and seafood, their discarded shells cast aside provide rich fodder for historians. By the time Capt. James Cook sailed in and named the headland after the Earl of Hillsborough in 1770 the Juipera had been the dominant tribe, hunting and gathering on the cape for eons. Where the town of Mackay now sits, wallabies and kangaroos were in abundance while the Coral Sea had enough turtles, dugongs and fish to sustain all the Indigenous tribes. These days however, Cape Hillsborough is better known for the wallabies and kangaroos who famously populate the beach early each morning. Now, it’s camera-toting travellers who follow these wild marsupials, which have become one of the area’s main tourist attractions. Each morning before sunrise throngs of visitor wait in anticipation, camera’s poised, for the wallabies to show up near Cape Hillsborough Nature Tourist Park. Back in the 1950’s, the owners of the caravan park befriended the agile wallabies that populated the area. 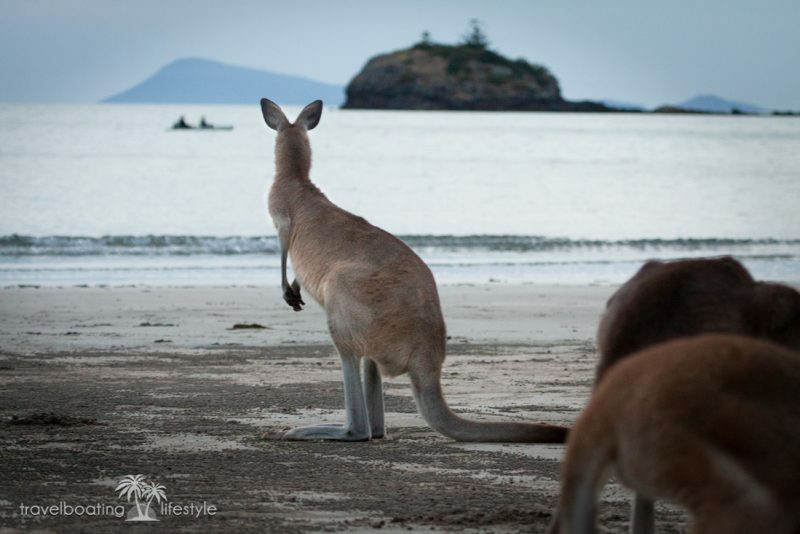 As the park developed, wallabies and kangaroos made themselves at home amongst the campsites, roaming free and wild, turning up each morning to graze on mangrove seed pods which washed ashore on the high tide. So popular has the wallaby spectacle become that Mackay Tourism has stepped in to create a guided tour. The tours both protect the wallabies and kangaroos but also preserve the delicate beach ecosystem which was at risk of being trampled by tourists intent on getting the ultimate selfie. Joining a Sunrise with the Wallabies Tour before dawn, we have front row access to the wallabies who show up on cue as a sliver of pink tints the horizon. Ranger Samantha Tilden leads our small group down to the beach, providing interesting snippets about the wallabies (we’re equipped with a radio transmitter & earbuds) and their personalities while pointing out identifying features of the dozen or so macropods that have appeared from the shadows. Eastern grey roo Bridgette nudges herself close enough for me to admire the lush lashes shading her cataract-clouded eyes. A strong peaty smell tinged with eucalypt emanates from her pelt. Her enormous ears twitch and swivel like the periscope on a submarine. The nail on her middle toe is almost as long as my pinkie finger. I’m totally enraptured with the trust shown me by this creature. I’m keenly aware too that our modern lifestyle allows me the privilege of not having to slaughter such an adorable creature to sustain my family. Nearby Eastern grey Emmy-Lou is preening and pouting for the paparazzi like she’s been taking lessons from Angelina Jolie. 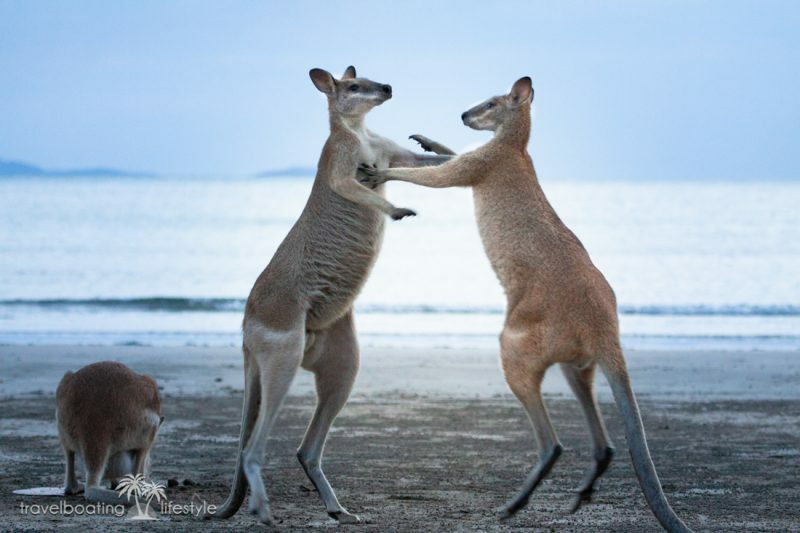 Meanwhile two juvenile male wallabies nimbly bounce around on their hind legs, puffing out their chests, ducking and weaving as they box each other in a gallant show of teenage testosterone. Ranger Sam has her hands full laying out food for the wallabies while managing crowd control. Those who haven’t paid to join the tour are kept behind a virtual barrier. 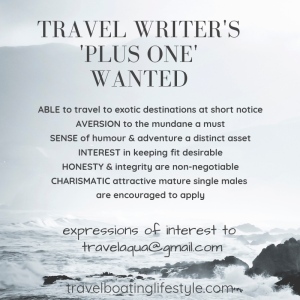 Visitor numbers started to go nuts once Qantas featured the beach wallabies in a promotional campaign and it’s not unusual for 100+ plus people to turn up each morning. For photographers the tour offers an extraordinary opportunity to capture an iconic shot of Australia’s national symbol silhouetted against the sun rising above the Coral Sea. The land adjacent to the tourist park is an ancient burial ground and remains sacred to the Juipera people. I can’t help but wonder what the original inhabitants would make of the crowds that turn up each morning to view the wallabies. Before we drive back to Mackay we call into the Old Station Tea House. Having missed dinner the night before, then rising before dawn, I’m ravenous. Owners Dwayne and Michelle relocated and renovated a 110 year old railway station to their property, creating a gorgeous garden around the clapboard building that oozes Queenslander character. 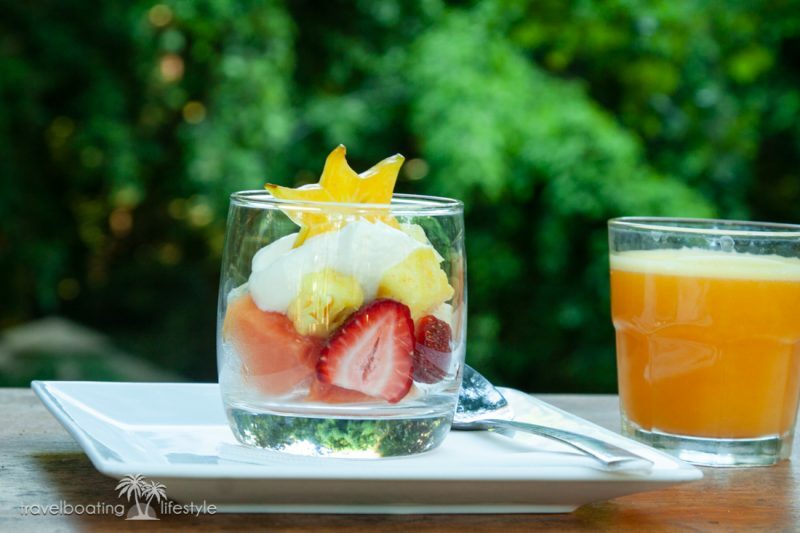 We devour a splendid breakfast of fresh tropical fruits followed by bacon and eggs on the deck beneath shady fig trees. Kangaroo is not on the menu.